The Pearl River Delta has been reinventing itself from a manufacturing hub to a melting pot for commerce and financial services. On behalf of the Shenzhen British Chamber of Commerce, Barry Wilson was recently invited as a specialist speaker in the Green & Smart Cities and Urbanisation Forum of the 2017 China (Guangdong) – Europe Investment and Cooperation Conference, sharing his views on how to build a future-proof city. This event brought together European and Chinese leaders of politics and economics as well as numerous industry leaders, in a bid to deepen the mutually beneficial cooperation in economy and trade between China and European countries. It provided latest information on Guangdong's economic and social development, as well as matchi-making opportunities for sectors such as manufacturing, bio-medicine, etc. 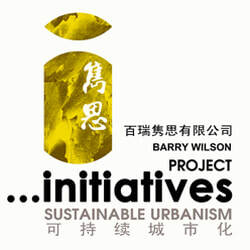 On the forum, ​Barry Wilson suggested the need to provide shock absorbers in urban planning to possible changes, and to flexibly align the existing development thinking to that unknown future. This event was jointly hosted by the People’s Government of Guangdong Province and the European Union Chamber of Commerce in China (European Chamber), organised by the Department of Commerce of Guangdong Province, the People’s Government of Foshan Municipality and the People’s Government of Shunde District and supported by several European chambers and associations in China. Massimo Bagnasco graduated in Architecture from the University of Genoa, Italy in 1996. He became the partner of Progetto CMR(Beijing) C0,.Ltd in January 2009. In 2017, he was selected as the Vice Chairman of EUCCC. Claus Treppte is a visiting professor in architectural technology at Tongji University in Shanghai. He is the current chairman of BWA Commission and the President of Dekra Group. Rocky is a 20-year project developer. Working as Director of Savills Property & Asset Management, he has participated in the managements of over 100 high-end projects spanning across Shenzhen, Xiamen, Fuzhou and Sanya etc. Villupuram is Head of Business Development & IoT of JOS. 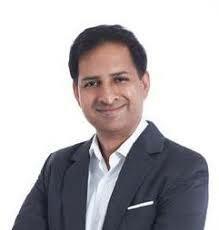 He is responsible for the company’s Internet of Things (IoT) business practice and development. With around 200 corporate members in Guangdong, the British Chamber of Commerce is one of the largest and most active foreign chambers of commerce operating in Guangdong. The BCC’s role is to promote and foster close business ties between Guangdong Province and the UK. European Union Chamber of Commerce in China was founded in 2000 by 51 member companies that shared a goal of establishing a common voice for the various business sectors of the European Union and European businesses operating in China. It is a members-driven, non-profit, fee-based organisation with a core structure of 25 Working Groups and 7 Fora representing European business in China.